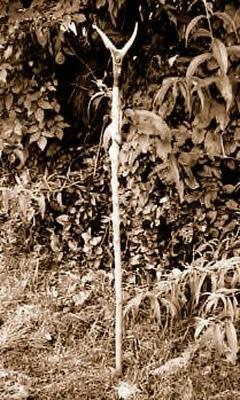 A forked ritual pole or Staff used by Pellar to invoke, call upon the powers, send spells, mark out the compass and as a focal point in rites. Often made of ash but can also be of other woods and having a Horn or antler fork at the top. Though it is sometimes made both shaft and fork from one piece of wood. After the compass has been marked out the staff is stood upright at its centre were it represents the cosmic axis, centre of the crossroads or world tree. Its roots in the deepest parts of underworld (Annown), its trunk passing through the centre of this world (Nor), and reaching up to the Heavens (Nevek), uniting all worlds and giving access to them. 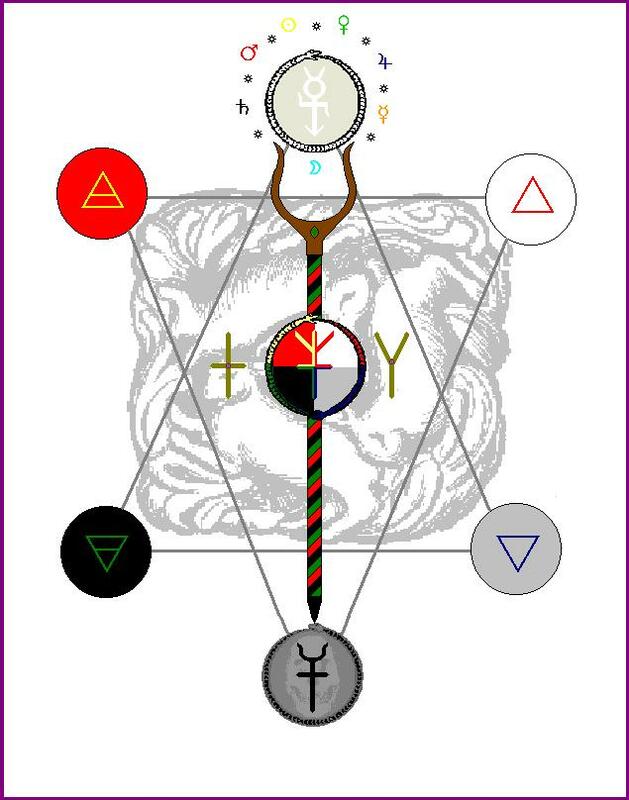 Its Horns represent the union that resolves all of dualities, Female/Male, Death/Life, Tomb/Womb, Dark/Fair etc. which was from the begining and is for all eternity both male and female."